Congratulations to our new batch of travel agency owners! We want to congratulate our new batch of affiliates for the month of January 2019! We're delighted that you were all able to complete our comprehensive training programs and seminars! We are an all-in-one company that accommodates full service Travel Agency, Consultancy and Resource Center based in the Philippines. We build rapport, motivate, and empower aspiring travel entrepreneurs to build their own travel agency business by providing them an extensive and intensive training about travel agency operations, management, and marketing. Let our travel business experts, consultants, and speakers, Mr. William Amorsolo and Ms. Sharon Perez lead the way through our seminars, trainings, and consultations so you can get an overview of our business. For it is important for us that you understand the value of putting up your own travel agency before you invest your hard earned money. The moment you successfully finished the training, we guarantee you that we will provide and give the assistance that you need as a start-up travel agent. Being an official affiliate of The Travel Depot, we ensure that your travel agency business will continue to progress and change the lives of other aspiring entrepreneurs who would like to turn their travel business dreams into reality for with Travel Depot; your dream is our success. An inspiring mother and daughter story, which turns a bad experience into a moment to remember, as they decided to enter the world of travel business. This wonderful story started off when Merilene and Shekainah attempt to go through the DIY or Do-it-yourself booking. Little they didn’t know that these kinds of procedures will be a trap for them. As they recover from this shortcoming, they’ve found out exactly how a travel agency works. Through the assistance of Sir William Amorsolo and Ms. Sharon Perez as they empower and share their heartfelt experiences to the people with the same passion as them, Merilene and Shekainah’s perception towards travel agency abruptly changes and they were able to feel a thorough, hassle-free and reasonable travel experience a person could ever have. Definitely, it is really a moment to remember! “Kapag mag byahe ka with the assistance of a travel agent, yung travel mo ay safety, cheaper and organize. Alam mo na yung mga places na mapupuntahan mo.” Merilene mentioned. “To Ms. Sharon and Sir William we thanked God for letting you in our lives para mag share ng mga experiences and knowledge niyo para maging magaling kami na travel agents dito sa industry.” said by Shekainah from August Batch 2017 of Cebu City. If you want to know more about our affiliates and their stories, stay tuned for They Chose They Spoke. Be empowered, Be inspired, BE ONE OF US! Travel Agency Business Seminar in Ortigas! Our most sought-after How To Put Up Your Own Travel Agency Business Seminar goes to Tagaytay! Let our travel business experts and speakers lead you to easy start up and be your own boss! Travel Agency Business Seminar Goes To Baguio! Enjoy the perks of FREE travel by putting up your own travel agency business! Travel Depot is here to help you plan, start and grow your new business startup! Sign up now to avail 50% OFF in our seminar rate! LIMITED SLOTS ONLY. Travel Agency Business Seminar in Manila! Join in the fun of doing what you love! The Travel Depot has helped more than 1800 travel agency affiliates to build their own travel businesses! BE ONE OF THEM! 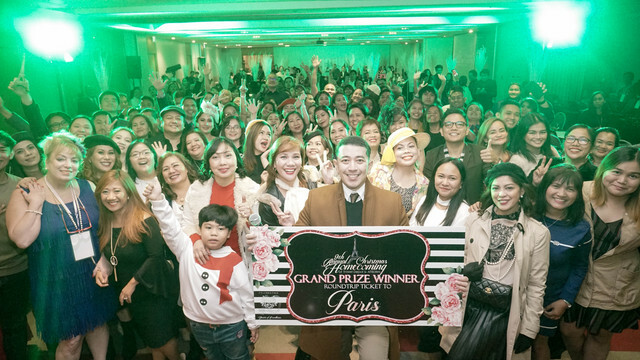 What a total success of Travel Depot’s most anticipated event of the year 2018 last November 17 in Radisson Blu Hotel in Cebu for our Visayan and Mindanaoan Affiliates and December 9 at the World Trade Center Pasay for our Luzon Affiliates! We could not have had blast without the whole TravelDepot team, event partners, sponsors and most especially our affiliates as we glorified another breakthrough to our first decade in the industry of travel and tourism!